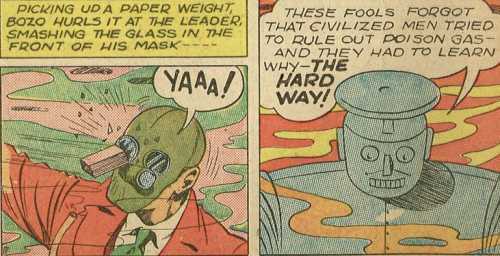 Castle Vardulon: The Sixty-Eighth-Greatest Panel in the History of Comics! 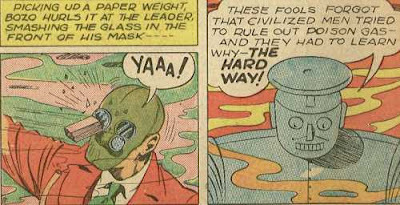 The Sixty-Eighth-Greatest Panel in the History of Comics! It's always nice to see someone making a reference to the rules of war, even if they don't really apply to the criminals and saboteurs that Hugh Hazzard normally concerns himself with.